Their addition of stories to Instagram feature attracted as many as 100 million users in just over two months after it was first introduced. The facts presented below will detail you how and why the company has become important for marketers in this day and age. Believe it or not, people are actually using Instagram. So when your social media marketing strategy does not include Instagram, think again. A huge audience of 500 million is hooked to Instagram and the number is continuously on the rise. The love of people for Instagram is just astounding, really! 40 billion photos is no small number. Our minds will start to go numb, should we even start to process the number forty billion. As of 2016, there four times more photos shared than there are human on the entire planet. As we all know Instagram was acquire by Facebook in 2012, the usage statistics have gone overboard. It is reported that people share 95 million photos and videos on average during the day. So you cannot ignore the prospects of Instagram as a marketing tool for your business. Fact 3: 80% of Instagram users come from outside of the U.S. Even if your business is global, just read the caption above again. It is not an American thing. 80% of the audience is outside of America. The revenue from ads is on a global scale and not limited to any specific region. 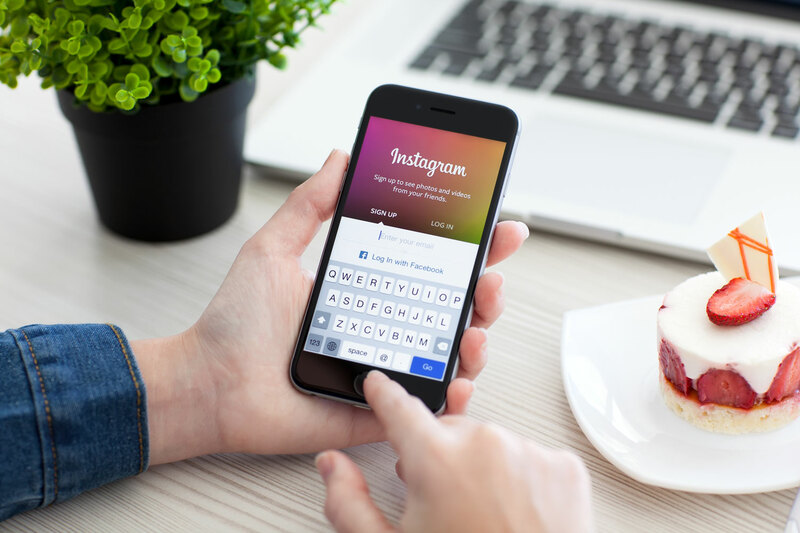 It is said that by 2017, Instagram will bring in $2.81 billion in terms of global mobile ad revenues. We are already here, let us see how things pan out by the end of this year. In the year 2016, Instagram alone brought 144 increase as opposed to Facebook’s 8.4 percent in the realm of global mobile ad revenues. Fact 4: The United States, Japan, and Brazil are the three nations with the most clients. According to stats, the selfie hashtag grew over 200% since the January of 2013. It wasn’t even listed in the top 100 tags on Instagram back in the day. Now see, where we stand.There are 57 million photographs bearing #selfie hashtag and its variants on Instagram. Instagram is not limited to certain demographics, although, women are more likely to use Instagram for liking, sharing and posting photos and videos. The same is true for teenagers. You will find that about 23 percent of girls use Instagram as compared to boys who are 17%. So if you have a product or service to sell it to the girls, you might want to try Instagram for reaching your target audience. To some people, Instagram is the happiest place online. The overenthusiastic marketers, who would pay for likes otherwise, gets to achieve likes for free on Instagram. As the caption reads, on an average, users like 4.2 billion posts on a daily basis. Normally businesses won’t tune into Instagram to learn about other businesses. It just does not make sense. Although, B2B marketers cannot completely rule out the benefits of Instagram for their businesses but the reliance is less. Meanwhile, the B2C businesses are more likely to benefit from the use of Instagram and their activities on the platform are 6 percent higher than their counterparts, according to a survey. I mean if a consumer sees a picture of new shoes on a Nike’s Instagram page, it may drive him towards the purchase of the same. An impulse may be generated in him and that is precisely the advantage of Instagram for B2C businesses – helps boost sales. Instagram lets you create an identity for your brand online. Your brand has increased chances of being recognized on the Internet. And that is exactly what top brands are doing by leveraging Instagram to the maximum, according to one study, about 60 percent of them. That is saying something whereas the other 35% check it multiple times during the day. There are close to 50 brands that rank at thetop which utilizes social media to market their offerings. According to a study by Forrester in the year 2016, 11.8 million users interact with 2,489 posts that are created by 249 brands and concluded that 50 of them are the world’s leading brands. These brands post 4.9 times on a weekly basis on Instagram. So now you know, if you want your business to be noted, that many times you have to post. Period. Above are 100+ facts that you may or may not have known about Instagram. Tell us if we missed out on any in the comments below. Smith is a social media enthusiast. He loves to blog and often writes on the developments in the world of digital marketing. He can be contacted for assignment help.